If it was good enough for a Royal to kip down, it'll be good enough for us! 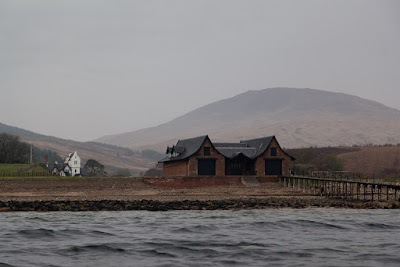 By the time we arrived at Dougarie estate boathouse, it was 18:25 and pouring with rain. We continued south and thankfully the rain stopped an hour later. 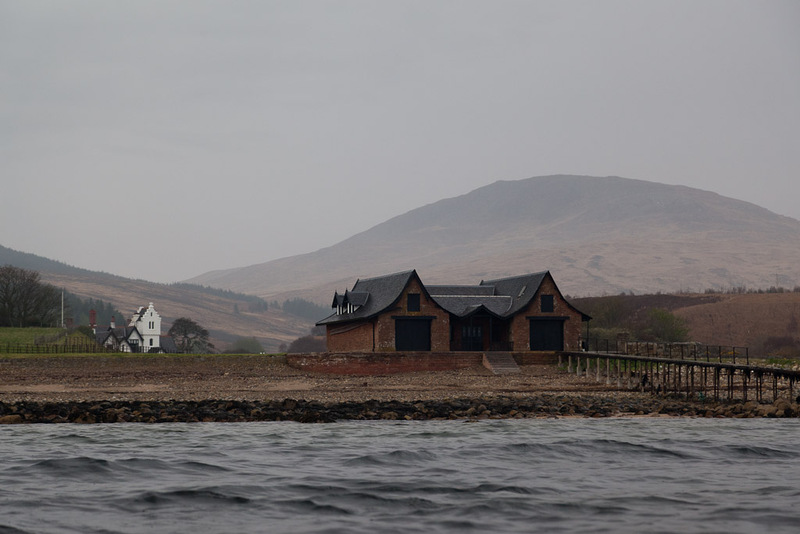 We now set across the broad expanse of Machrie Bay. We were bound for the headland below Torr Righ Mor, still some 6km distant. 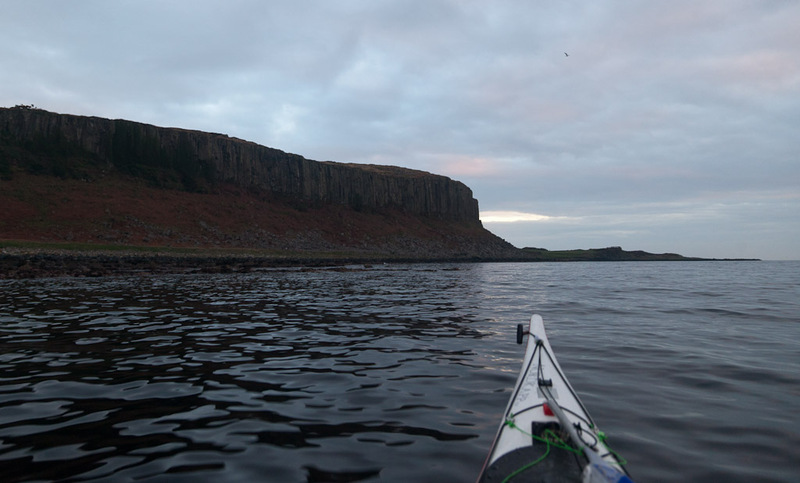 As we approached the headland, the setting sun lit it in a last blaze of sunshine. 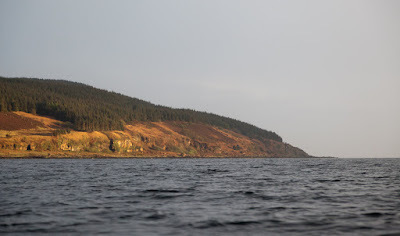 From the rocks below Torr Righ Mor, we saw the next headland of Drumadoon Point, some 2km further south. W knew we would need to find shelter for the night somewhere between these two points as the sun had now set. 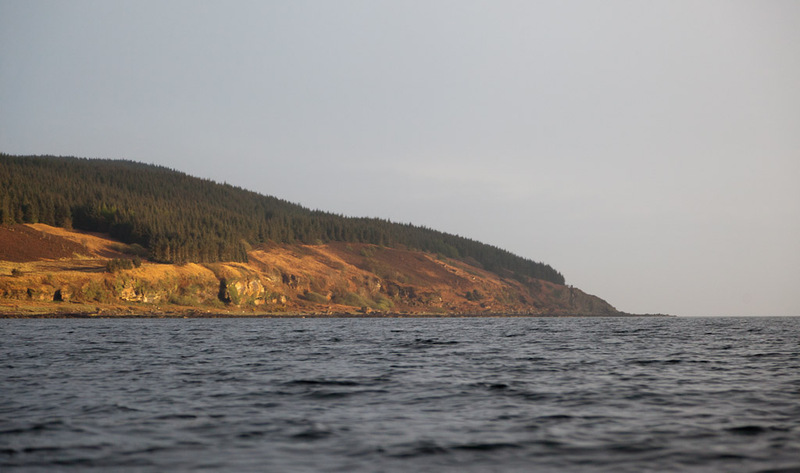 If unsuccessful, our credit cards would take a hit at the Kinloch Hotel which is conveniently situated on the shore 1.5km further on than Drumadoon Point. 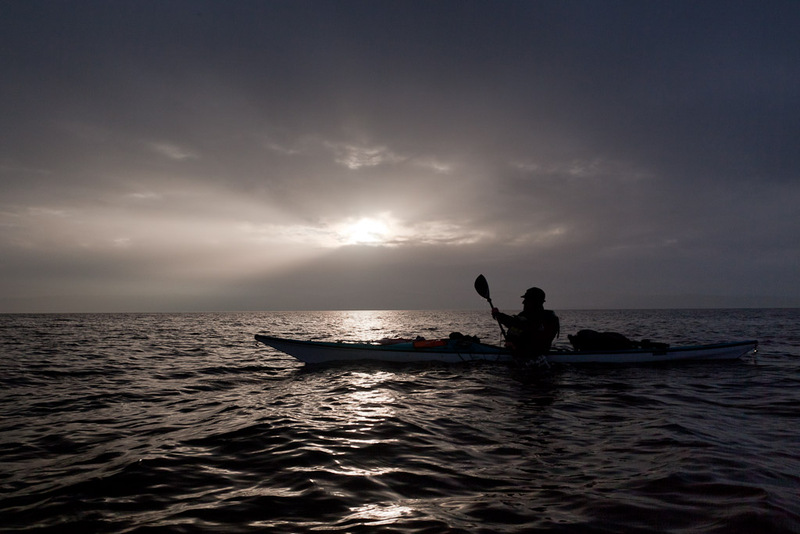 Such are the hardships to be endured by those who kayak in the wilderness! ...we passed a series of large caverns. The left hand one is called King's Cave. It was in this very cave that Robert the Bruce got inspiration from a spider. He was on the run for the murder of another Scottish noble, John the Red Comyn. Like "de Bruce" himself, he was also of Norman descent and was a rival for the Scottish throne. 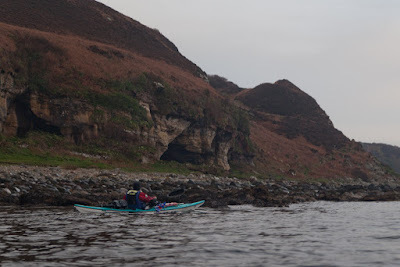 David and I didn't fancy the rocky landing below the caves and as both of us have an aversion to arachnids, we pressed on into the gathering night. I knew of a small break in the rocks to the south of King's Cave with good camping nearby but when we arrived we discovered that a lone female walker had already set up camp there. 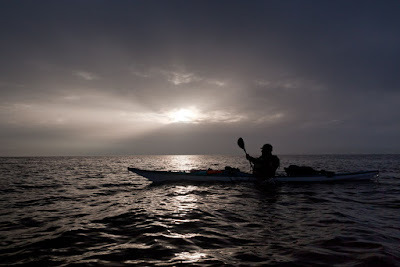 Rather than cause alarm by emerging from the dark sea, David and I paddled on into the gloom like perfect gentlemen. 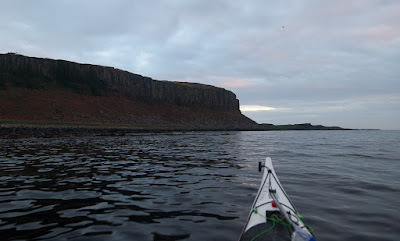 Fortunately we found a narrow slit in the rocks before Drumadoon Point. 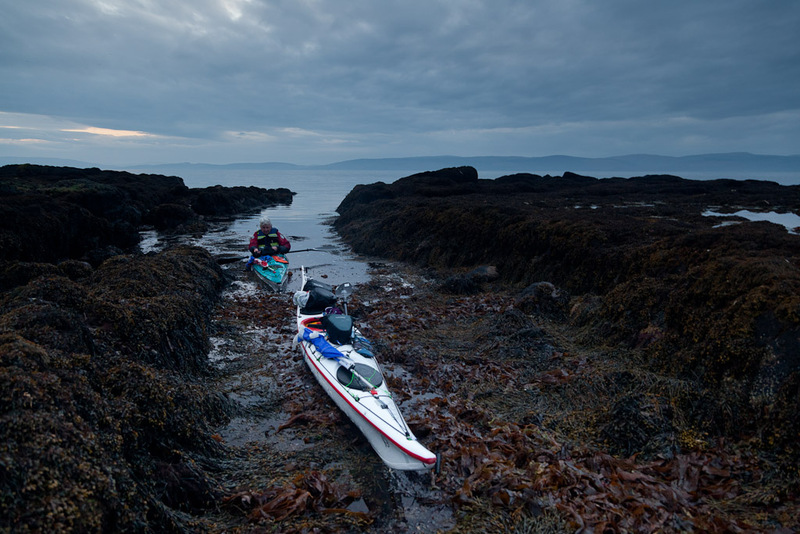 It had some rather smelly sea weed at its head but at least it was a soft landing. We set up the tents by torch light. 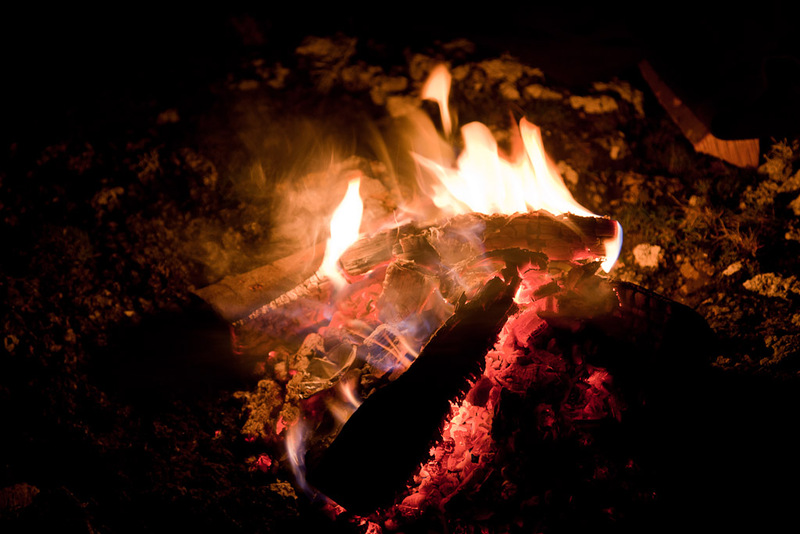 It was too late to forage for firewood but we had brought a bag of barbecue charcoal and some kiln dried logs! Our small but effective fire lasted for some four hours, until we had partly drained the contents of a couple of bottles of Glenfiddich! 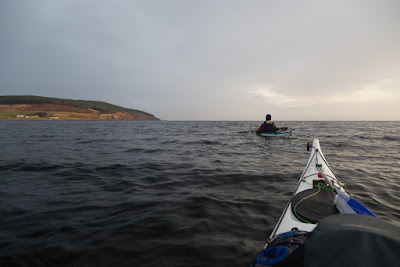 We felt like Kings, as we regaled each other with increasingly unlikely tales of past sea kayaking exploits.